KMAT Admit Card/ Hall Ticket 2018: Karnataka Management Aptitude Test examination is scheduled to be held on 5th August, Sunday. This year lakhs of applicants seeking admission in various management courses are going to compete for KMAT examination. The test will be held in many examination centers across the Karnataka state. Aspirants who are competing to get admission in MBA/PGDM and other Management courses for the academic year 2018-19 have already applied from 7th June to 25th July. All the applicants can get their admit cards/hall tickets from the KMAT official portal, kmatindia.com. as the hall ticket is the most important document that needs to be carried for the test, all the hopefuls must download and keep the document safe to carry to the KMAT test. Hopefuls can check more details such as examination guidelines, important dates, hall ticket downloading steps and more details from this article. Karnataka Private Post Graduate Colleges Association (KPPGCA) is responsible to conduct the Karnataka Management Aptitude Test (KMAT) examination. The admission into MBA/PGDM and other management courses will be offered based on the rank and merit of aspirants. Aspirants who scored the best rank will be given admission in 161 plus AICTE approved colleges in the state of Karnataka and Bangalore. The competition is going to be so high for KMAT examination. Lakhs of competitors applied for the KMAT entrance examination every year. So, the admission will be offered purely on the basis of merit. This year the KMAT examination will be conducted on 5th August by KPPGCA. 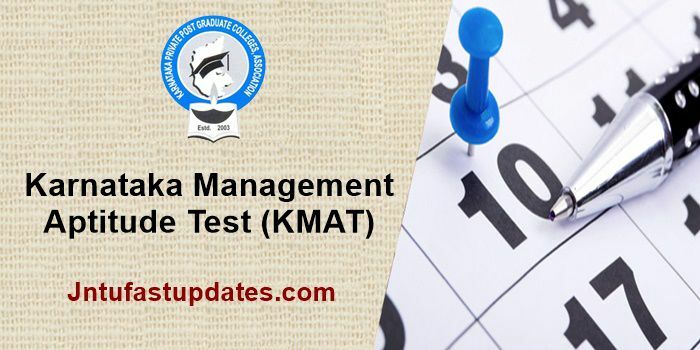 All the applicants applied for KMAT examination can get their admit card from the KMAT official portal, kmatindia.com. Candidates attempting the KMAT examination 2018 must download their hall tickets to attempt the examination. Candidates can check their name, number, DOB, Signature, scanned photograph and other details from their admit cards. A strict verification of admit card will be done at the examination centers. Candidates can download and preserve the admit cards to carry to the examination. Aspirants can download Karnataka MAT admit card before 2 days of the examination. That is the examination is scheduled to be held on 5th August and the applicants can get the admit cards from 3rd August. Make sure to download and carry the admit cards to the examination. Check the Karnataka MAT Hall ticket downloading process from the following. Search for the KMAT Admit Card 2018 Link on the homepage. Click on the download link and provide the necessary details like register number, password etc. The KMAT examination will be downloaded on the screen. Take a printout of the admit card to carry it to the examination.